Minoru Sasazuka has got a handsome physique that should make him popular with girls, but his overdone romanticism drives them away. He's now age 19, at university, and still a virgin, so he hopes to find the right girl soon. He and his friends decide to rent a cabin in the mountains and have a winter ski trip. For his friends it's a dream vacation, but for Minoru it's like going back home, since it's a place he frequented often as a kid. Traveling with him is Kyoka, a childhood friend, her stylish sister, Keika, and his sister, Honami. At the lodge, they enjoy the hospitality of the owner, Kasumi, a beautiful but soft-spoken woman, and the lovely yet mysterious helper, named Shizuka. As the snow begins to fall, love starts to develop and hearts begin to melt. 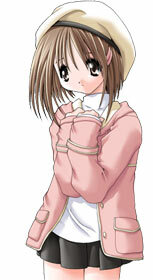 Who will fall in love with Minoru, and will she be "the one" for him? In Snow Drop you experience love as pure as the winter snow, that heats up the cabin where you and your friends are staying. But, there is more than just love in these mountains, and it's up to you to uncover the secrets. A beautiful story with memorable characters, in this classic romantic eroge. 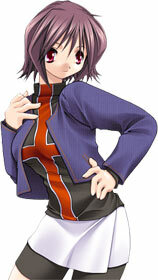 She's the childhood friend of Minoru, and is very energetic and tomboyish. Although they're childhood friends, there's no romantic involvement between them...yet. Still, she constantly teases him and puts down his hopelessly romantic tendencies, promoting her own "super-realist" point of view. Age 19. 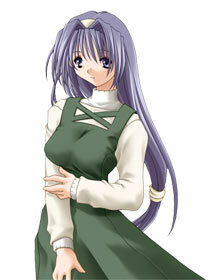 The newly hired maid at the ski lodge where Minoru and the others are staying for vacation. 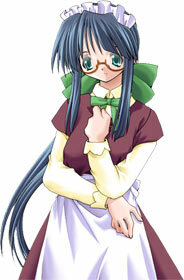 She is very helpful and polite, and seems strangely taken with Minoru. Unlike Kyoka, she seems to carry an aura of romantic tranquility with her. Minoru is beset with a puzzle as to why she seems so familiar... Age ??? The owner of the ski resort. She has a great deal of knowledge about the local area because it's her hometown. Her 'hobby' is creating Ghost Stories to tell to her guests to scare them out of their wits before bedtime. Her husband has always run the resort with her, but he seems to be missing... Age 28. Minoru hopes a ski trip to the mountains will be the opportunity for love to blossom in this memorable winter tale.